In the poker world, players can amass an impressive amount of winnings in a short period of time if they happen to be on a winning big and fast. This happens when Lady Luck smiles upon them and grants them with a bunch of good hands which secure them the top positions on the leader boards. 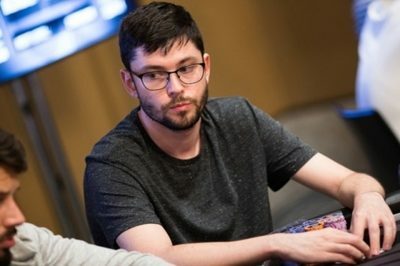 This might be the case for English poker player Gavin Cochrane, who has gathered quite the attention since the beginning of this year with his online poker performance. It has to be pointed out that he has had a total of three wins since the start of 2018 and this has brought him as much as $231,788. Cochrane is well known in the online poker world with his nickname “gavz101” and he is more active in that sector. On his name, he has not more than six live tournament poker earnings, the oldest one being from 2010, when he participated in the 41st World Series of Poker in Las Vegas. He demonstrated his skills during the $2,500 Pot-Limit Hold’em/Omaha where he made it to the eighth position on the leader board and claimed the winning amounting to some $26,905. Cochrane’s last recorded live performance was back in 2016 while he played at the PokerStars Caribbean Adventure. He participated in the $5,300 #14 Pot-Limit Omaha – 8-Handed where he reached 4th place and bagged as much as $12,800. However, since the beginning of January, his total tournament earnings have nearly doubled after the professional level of game he demonstrated at PokerStars high stakes PLO tables. The amount of money he managed to accumulate immediately sent him to the rank list as PokerStars biggest high stakes cash game winner so far in 2018. He made it to the third position on the leader board of the PokerStars $400/$800 8-Game table which took place last Thursday and this brought him the well-deserved prize amounting to $27,926. He played against the well-known poker pro Viktor “Isildur1” Blom, who received the first-place prize estimated to $89,803. This was not the first time these two play against each other, as the poker world remembers their last encounter towards the end of 2017. During that game, they had a total of six tables of heads-up $50/$100 Pot-Limit Omaha and the action was more than heated. 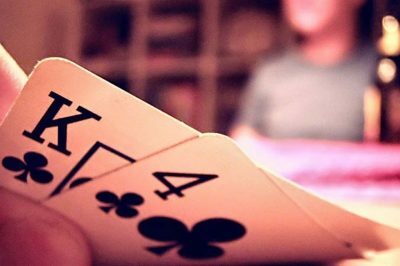 It could also be recalled, that back in May 2017 he managed to simultaneously reach the final tables of two tournaments at the Spring Championship of Online Poker. He claimed the throne at the $5,000 6-Max Pot-Limit Omaha and the first-place prize of $170,000, as well as almost $20,000 for his performance at the other $500 Pot-Limit Omaha Event. Cochrane’s online winning streak on PokerStars for this year began on 11th January, when he participated in Omaha High Pot-Limit. From then on he had been winning in every tournament he raced in and a total of 5,305 hands played. This has granted him with higher lifetime poker profits from high stakes tournaments, which now reach $658,035.